Aluminium Stable doors is a popular choice for mostly residential developments and renovation projects especially in the kitchen areas. 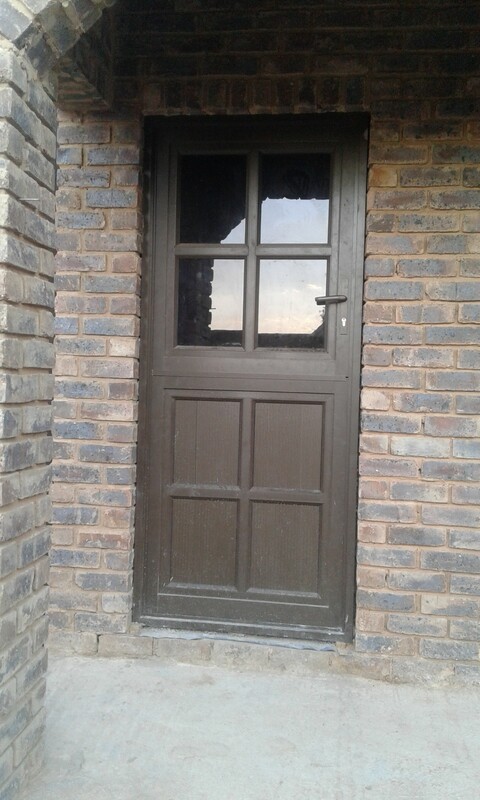 These doors consist of two parts which can open, these doors are especially useful is you would like to have the comfort of an open door without the hassle and risk of the little ones running outside especially if there are potential danger outside. The top half of the door can be wide open with the bottom half still closed in place. Our aluminium stable doors are manufactured using timeless designs that will suit any architectural design. The clean lines and shapes that we use are not only there for the aesthetics but also provides extra reinforcement to make these doors even stronger and more durable to some of the more extreme elements. These aluminium stable doors are also available in a variety of finished to ensure the best match for your property and style. We make use of the highest quality materials which ensures long-lasting durability. Aluminium stable doors are super light which makes them really easy to operate and as an added bonus puts very little strain on the moving parts – this makes the wear on the parts almost non-existing. These doors are silent when operating also because of the light weight and the use of high quality hinges. The use of this materials to fabricate these beautiful doors ensures less maintenance and more security. Aluminium stable doors provide numerous benefits and functionality due to the materials used in the manufacturing process that is far superior to the more traditional material stable doors available on the market.